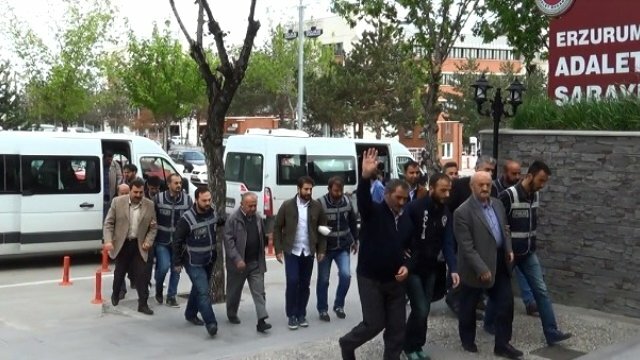 An Erzurum court sentenced US-based Fethullah Gülen’s relative, identified as O.G., to 6 years plus 3 months in prison on charge of membership to a terrorist organization, on Thursday. O.G., a teacher who was earlier dismissed from his job over Gulen links, pleaded not guilty and demanded his acquittal while the court in charge convicted him. Among the evidence for the decision were O.G.’s account at the now-closed Bank Asya, his former membership to Aktif Egitim Sen educators’ union, and his alleged use of ByLock mobile app. The government accuses the Gulen movement of masterminding the July 15, 2016 coup attempt while the latter denies involvement. Bank Asya, Aktif Egitim Sen and ByLock are all considered as signs of links to the movement. Fethullah Gulen’s many relatives have been sent to prison in addition to 55,000 people that were jailed over ties to the movement so far.